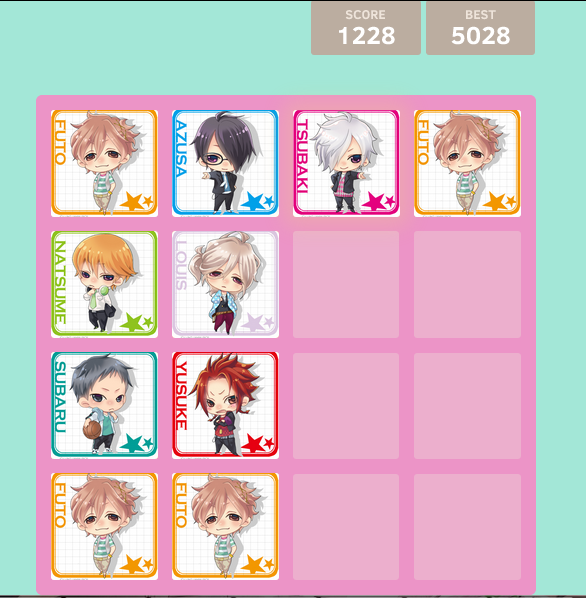 So guys, I made a thing tonight: a Brothers Conflict version of the 2048 game. See if you can get the top brother Masaomi! Click here for the game!